"There probably isn't sufficient space here to do our meal justice, but the food was faultless, created with plenty of technical skill but never overwrought"
There is a debate that is currently raging in foodie circles about the future of fine dining restaurants in London. 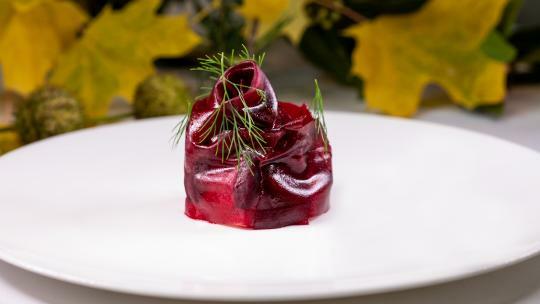 Several high-profile closures – including Claude Bosi's Hibiscus in 2016 – combined with a general consensus that consumers prefer “casual dining,” has led many to suggest that formal dining rooms are now a moribund feature of our gastronomic landscape. It's a hollow argument and a false antithesis. As Hélène Darroze at The Connaught so effortlessly demonstrates, there is nothing mutually exclusive about offering your guests a relaxed environment, and providing only the very best standards of service and professionalism. 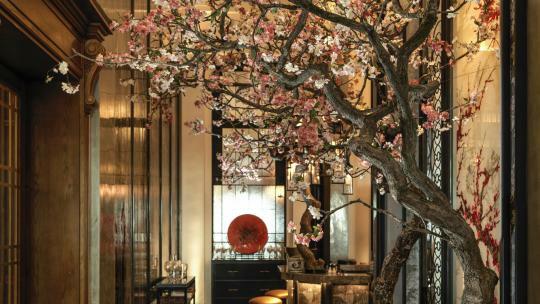 Fair enough, the dining room with its dark wood panelling and high ceiling invokes something of a gentleman’s club, but there was nothing starchy about the animated chatter, jazz soundtrack and affable waiters. Graciously offered a glass of Krug to start, I knew that great things were to follow. 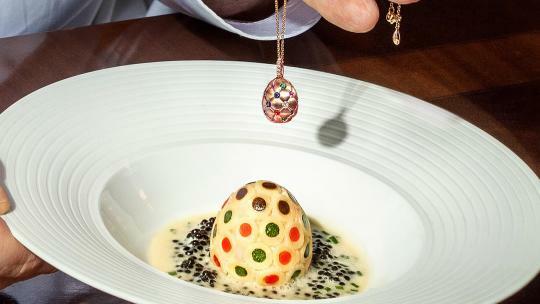 Yet despite the grandeur of the setting and genius of Darroze's culinary technique, your meal starts on a pleasingly whimsical note. 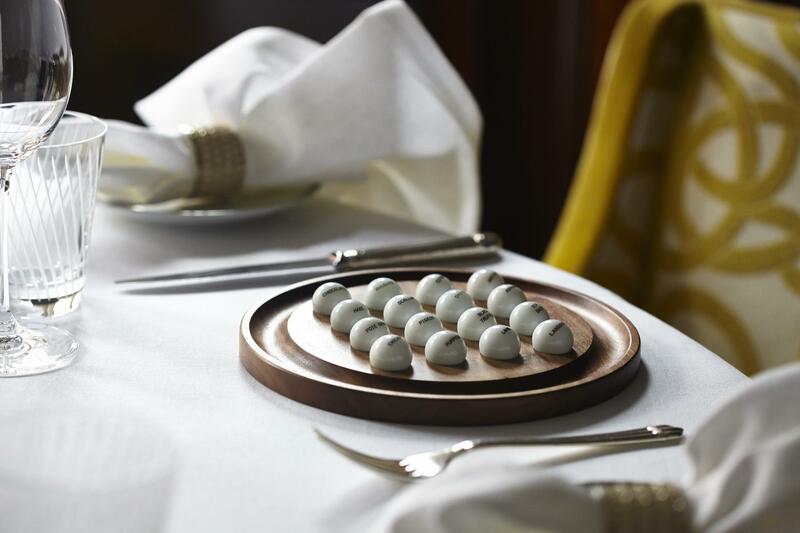 Guests are presented with a series of Instagram-famous white balls resting in a wooden board – every ball detailing the key ingredient in each dish. 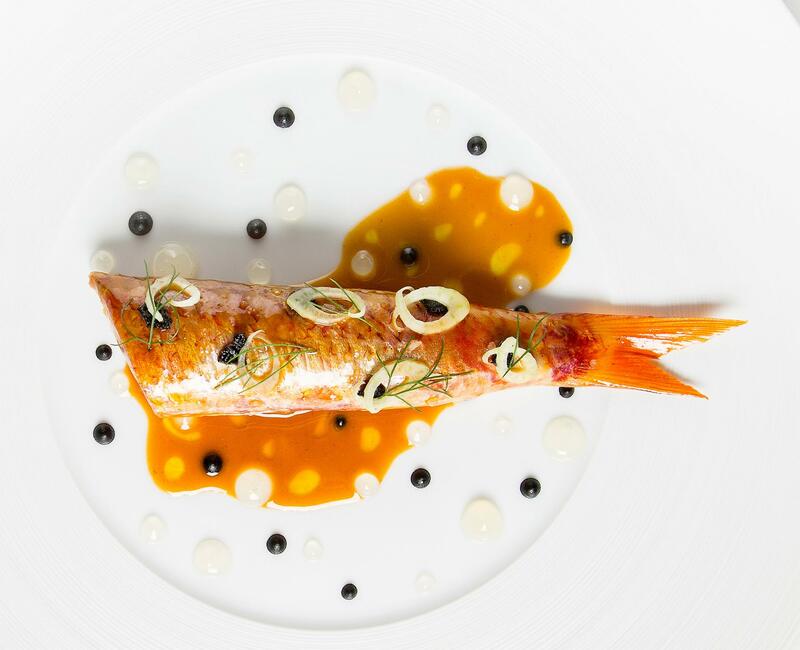 It’s a fun way of getting you to think beyond the confines of a traditional menu; we put our 'trust' in foie gras, ceps, lobster, red mullet and pigeon. As I suspected, Darroze did not disappoint. There probably isn't sufficient space here to do our meal justice, but the food was faultless, created with plenty of technical skill but never overwrought. 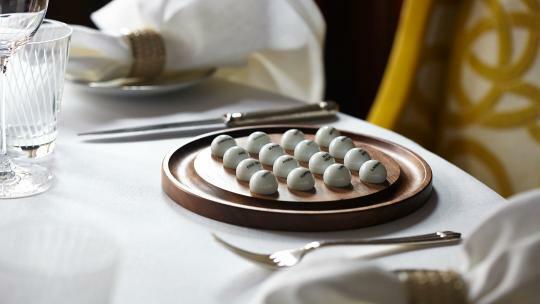 We started with the foie gras, served as a disc of paté resting on a bed of ceps, potimarron, Amalfi lemon and dill; an inspired flavour combination that offset the richness of the foie gras. The ceps then make a second appearance, lovingly enclosed in a medley of pink garlic, parsley, eel, and walnuts. It takes real skill to make such varied, and potentially conflicting, ingredients sing from the same hymn sheet – Darroze acquitted herself with aplomb. Indeed, subtlety is her watchword. No singular flavour dominates and nothing on the plate clashes. That said, our meat dish was the undisputed highlight of the evening – a sizeable hunk of braised pigeon encased in the most exquisite pastry I have ever tasted. “Pigeon Wellington” (a Darroze trademark) should be illegal – the flavours and textures verge on the scandalous. Paired with a glass of Australian Cabernet, silence descended across our table for a good long while. My only regret is that I was too full to appreciate the kitchen's dazzling rum baba, but it was a small price to pay for what preceded it. 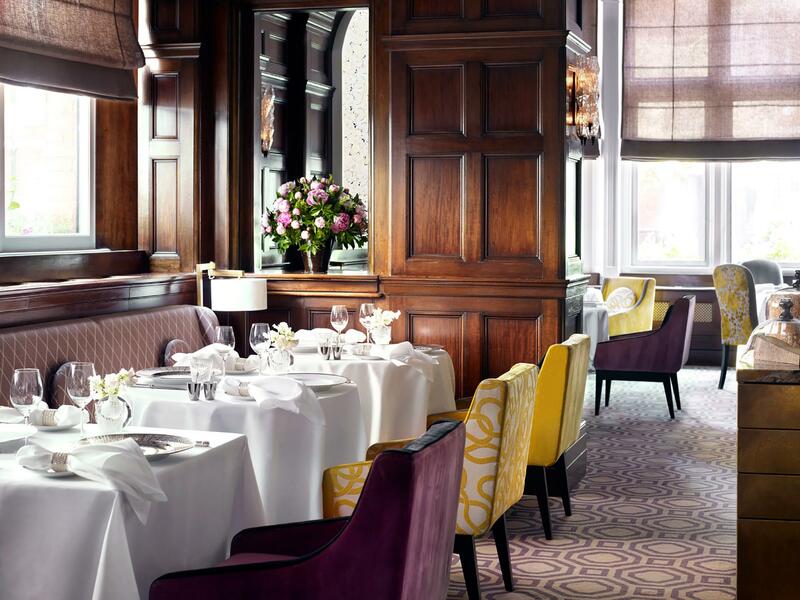 You may laugh at this, but Hélène Darroze at The Connaught is surprising good value (£105 for a five course tasting menu), which is by no means excessive for such a high-class package. A supremely polished and yet also fun experience, it's little wonder that there were very few tables unoccupied the night I visited. Fine dining moribund, you say?